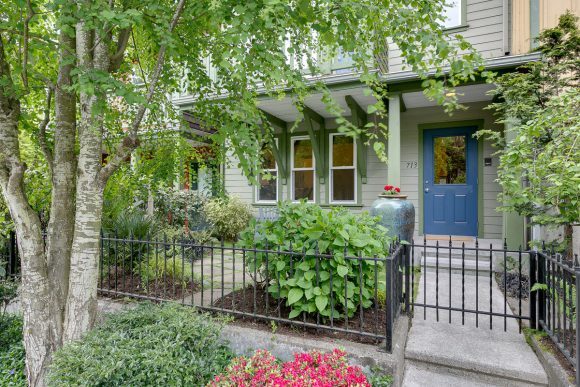 This charming custom home in the desirable Commodore Neighborhood is a rare in-town package. Four bedrooms, a finished basement and entertaining spaces inside and out. All within walking distance of schools, Winslow and the ferry. Come take a tour today in person. Welcome to 1525 Arthur PL NW and the Commodore Neighborhood. Formal living room with dramatic floor-to-ceiling windows. 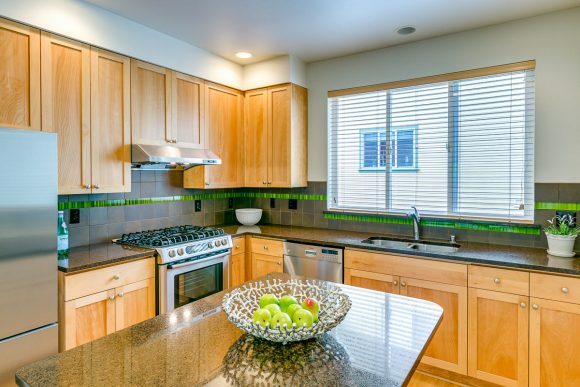 Remodeled kitchen with white wood cabinetry, black granite counters and stainless steel appliances. 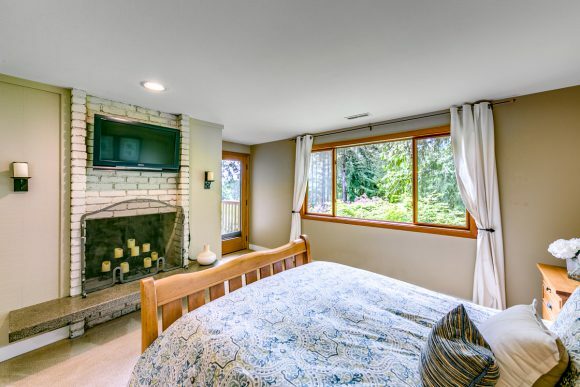 Master suite with cozy fireplace and private balcony. Spa-like master bathroom with California Closet Systems. Custom 900 sq ft hardwood deck, with spa. 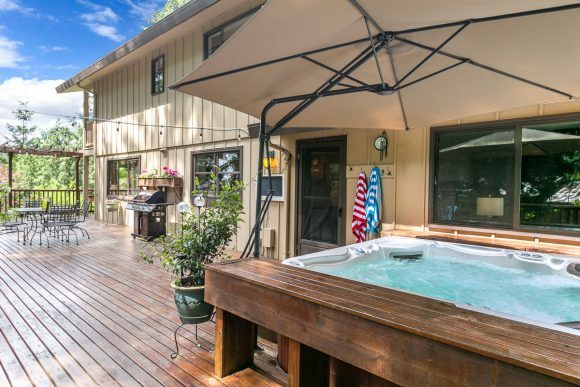 Large .37 acre, fenced lot with sport court, fire pit, shed, and garden space. Charming custom home on quiet cul-de-sac in the desirable Commodore Neighborhood. 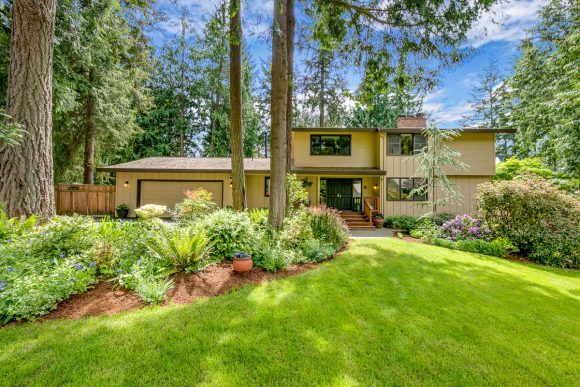 Exceptional outdoor living spaces on larger, private lot. Quality finishes and updates, including remodeled kitchen with white wood cabinetry and granite countertops. Finished basement with spaces for media room, office, and storage. 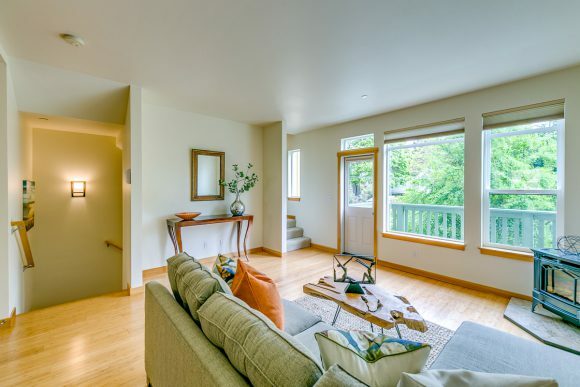 Four larger bedrooms all upstairs plus formal dining and living rooms. Master Suite with private balcony and cozy fireplace. In-town convenience close to schools, ferry, and Winslow. Visit the full Windermere listing here. Visit this home’s custom website here. 8411 Wyatt Way NW for sale by Jen Pells Real Estate. 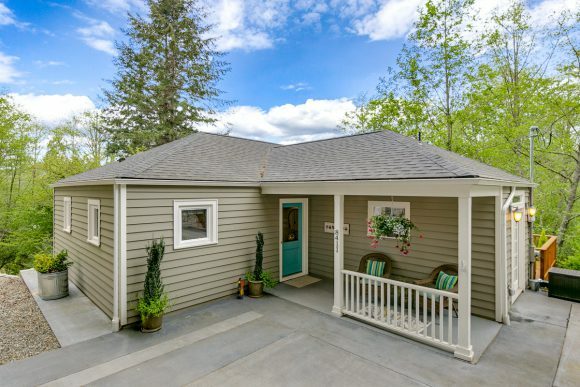 This adorable cottage on the west-end of Winslow is a must see. Open today (Saturday) 1-4. Loads of charm and fine finishes inside and out. Three bedrooms, two baths and a private, flat, grassy yard. A great package – in town, close to the ferry, schools and trails. Contact me if you would like a private tour. 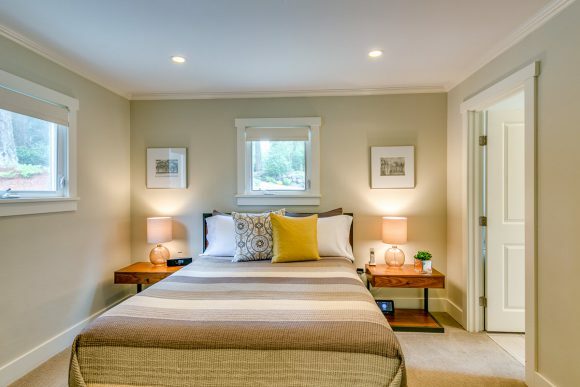 Quaint living spaces with original oak flooring from the 1940’s. 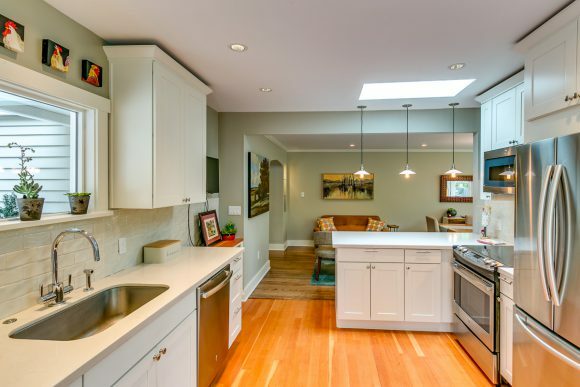 Crisp new kitchen with white wood cabinetry, high end appliances and quartz countertops. 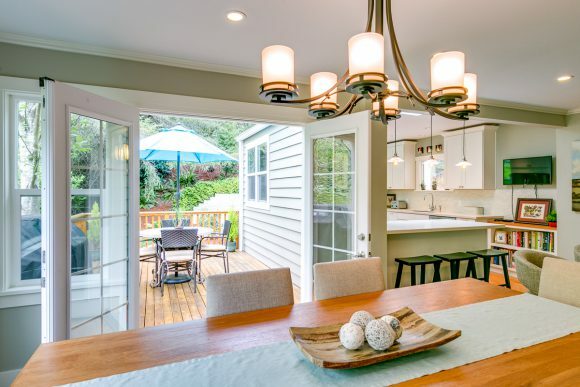 Large dining area flows to the west-facing back deck. 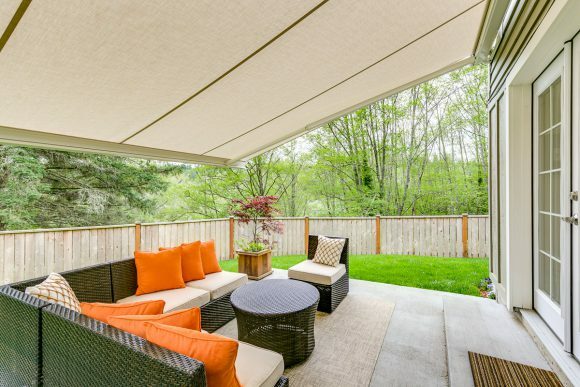 The perfect spot to enjoy summer dinners. 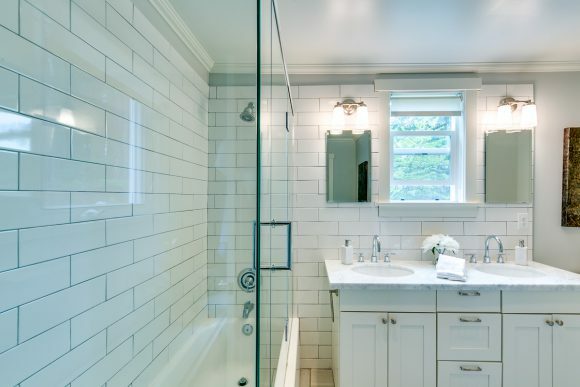 Gorgeous master bathroom with frame-less shower door, marble vanity and modern tiles and fixtures. 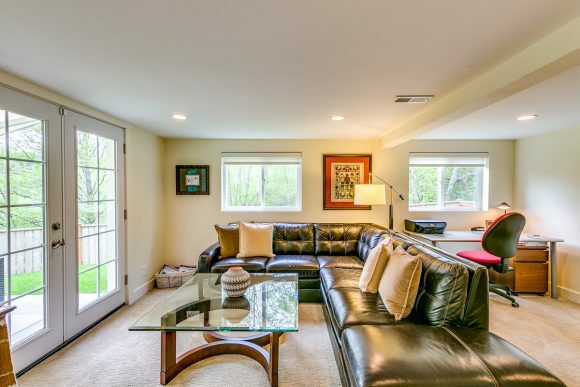 Family room in the walk-out daylight basement. Also has office space, laundry and a private bedroom. Patio space in the fenced area of the back yard. Grassy and flat. The motorized awning was recently added and remote controlled. 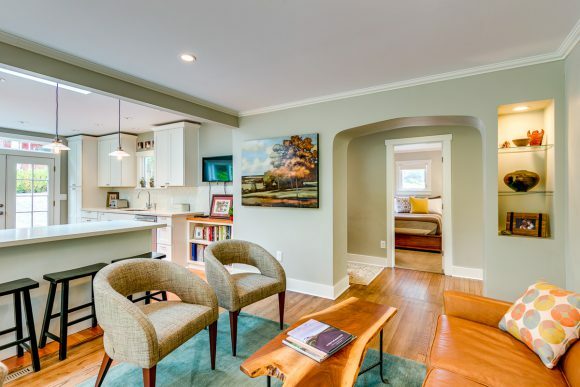 Charming remodeled 3 bedroom cottage featuring original oak flooring, beautiful crown molding and crisp new custom kitchen with fir floors, stainless steel appliances and quartz countertops. 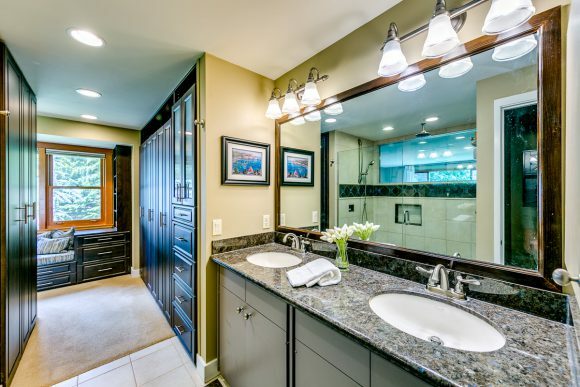 Main floor master, luxurious baths with marble vanities. Easy entertaining with French doors to deck, patio and backyard. Newer roof, siding, furnace, hot water heater, retractable awning, shed, blinds, custom closet systems, and lighting. 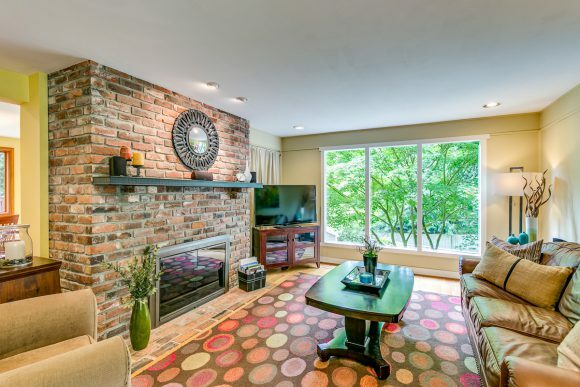 Easy commute with nearby trails to ferry, shops and restaurants. To see the full Windermere listing, click here. Welcome to 713 Madison Ave North. 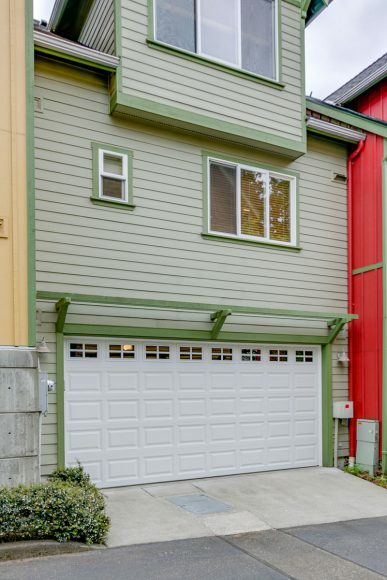 It has been a while since one of these colorful townhomes has come up for sale in the popular Courtyards on Madison community. My clients are original owners and have added thoughtful, high-end finishes over the years and this home is in immaculate condition. Come take a look for yourself at the open house or contact me directly for a private tour. 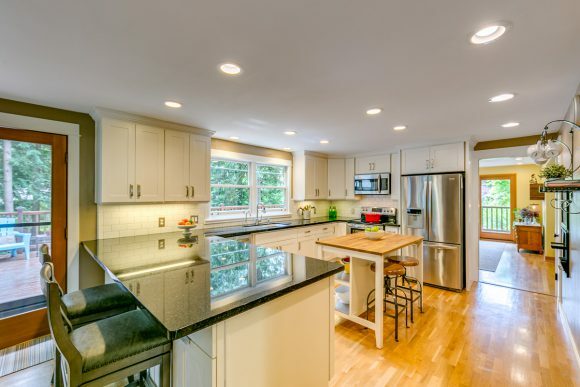 Updated kitchen with high-end appliances and quartz countertops. Large dining area opens to kitchen and living space. Living spaces and lower level have updated bamboo flooring. 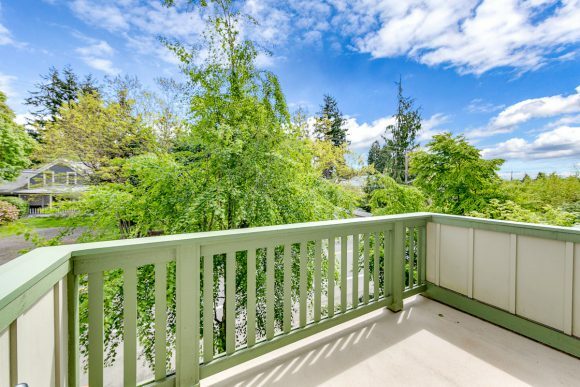 Large, private deck gets southern light and is the best spot to watch the 4th of July Parade. 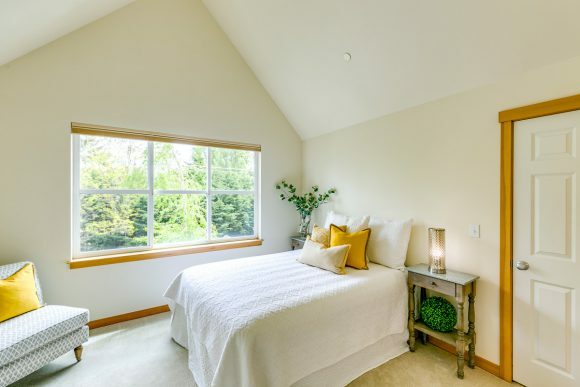 The spacious master suite with vaulted ceilings. Both bedrooms have their own baths. 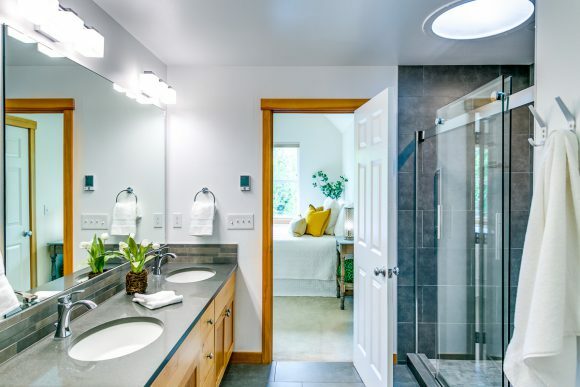 Spa-like master bath remodeled in 2018 by Clark Construction. Convenient, attached two car garage. 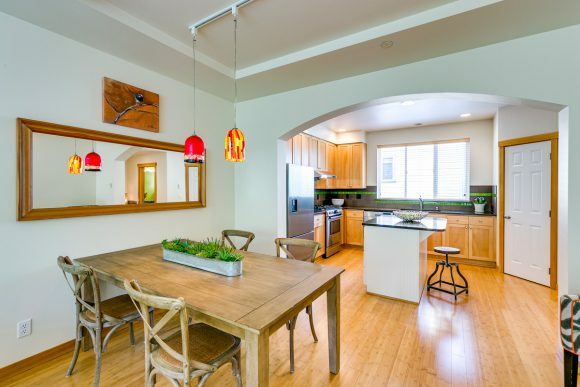 Stylish townhome in the heart of Winslow boasts a remodeled kitchen, bamboo floors, a spa-like master bath and updated baths throughout. Vaulted ceilings and oversized windows let in natural light. Covered front porch and large balcony have the best views for 4th of July parade! Two bedrooms, each with their own baths. The main level office/bonus/guest/exercise room also has a bath. Two car, attached garage and private front yard. Space for elevator-possible. 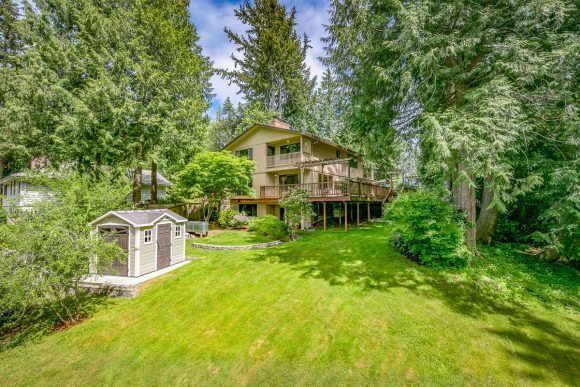 Close to town, ferry and schools. For the complete Windermere listing, click here.